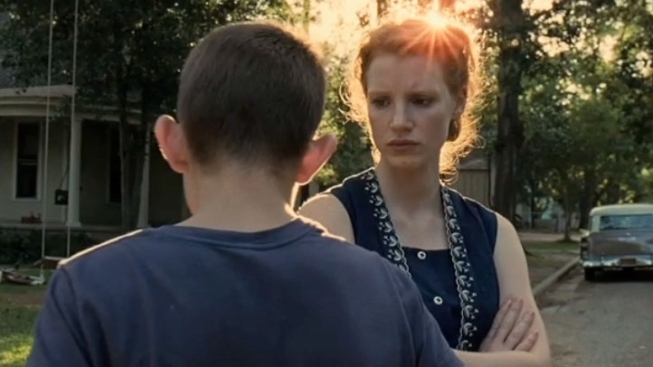 Home Video Review: "Tree of Life"
When word first came that Terrence Malick was planning a 6-hour cut of "Tree of Life," it seemed a bit much. So watching the new Blu-ray, one may feel a touch hypocritical wondering, "Is that all there is?" 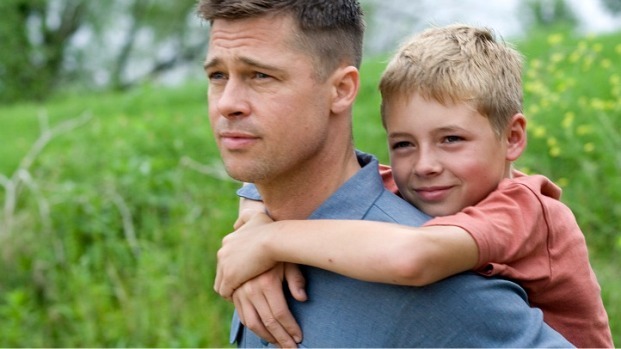 "Tree of Life," based in part on Malick's own Waco, Texas, upbringing stars Brad Pitt and Jessica Chastain as the parents of three boys. The film's focus is on the eldest, Jack, as he struggles to find the balance between his mother's loving ways and his father's cold Darwinist ethos. The film also considers that same struggle as it spans Time and the Cosmos, as we witness the birth of the universe, dinosaurs in battle, microscopic organisms and nebulous blobs of light floating across the galaxies. This is not your father's coming-of-age art house fare—it's a challenging, a-linear, almost stubborn approach to film making that stands as probably the most divisive film of 2011—it was named the best picture at this year's Cannes Film Festival, despite the fact that the premiere screening was met with some booing. Unfortunately, the only extra on this new Blu-ray version is a half-hour documentary, "Exploring the Tree of Life." Fortunately, that one extra feature is excellent. Among the people interviewed are Brad Pitt, Jessica Chastain, Hunter McCracken (the true star of the film, who has since gone through puberty and is now totally unrecognizable), and producer Bill Pohlad, as well as directors David Fincher and Christopher Nolan. The featurette gives us a look at Malick's process, from the decade-long development of the script, to his rehearsal and audition process to his ideas about cinematography and music. Fincher at one point recounts how Pitt had long ago said he wanted to work with Malick, and when the opportunity finally arose he told the actor, "Go with god, go with god… You have to—and tell me what it’s like." This may be as close as we'll ever get to knowing—if only "Exploring The Tree of Life" were as long as the film itself. Still, as good as "Exploring" is, knowing that there's at least 4 more hours of "Tree of Life" footage out there, it's hard not to feel a little cheated. They couldn’t give us just an extra 10 minutes of Chastain chasing butterflies or Pitt lecturing the boys? And if you're frustrated now, just think how dispiriting it's going to be when the inevitable super-deluxe version of "Tree of life" comes out next year. There was no way to be prepared for "Tree of Life" before seeing it for the first, but if you have, it's probably time to surrender yourself to it anew, with at least a semblance of an understanding of what Malick was doing. And if you haven't you can at least see it knowing full well that this is a different sort of beast, the gorgeous cinematography is stunning enough to initiate serious debate about the need to buy a bigger TV, and with Pitt generating Academy Award buzz for "Moneyball," now's the perfect time to be amazed all over again by his performance in "Tree of Life"--this is the film on which he should hang his Oscar hopes.